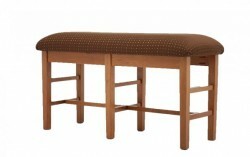 A handmade bench from Amish Originals can be used in a multitude of locations throughout your home. Consider a bench for your entryways, for the foot of the bed, for mix-and-match seating, or for extra seating in a living room or den. 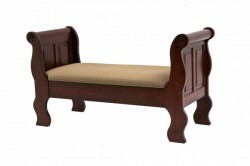 Benches are available with and without seat backs, arm rests and upholstered seats; as each item is custom made by our Amish craftsmen, customers can select the the options that will suit their décor and style needs perfectly. Amish Originals works with more than 70 Amish craftsmen in northeast Ohio—whose furniture is widely known for its durability, quality and beauty. 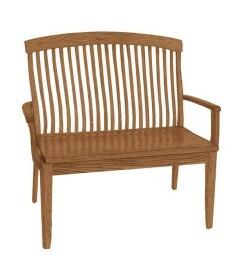 Attention to detail and time-tested construction techniques insure that your bench will become an heirloom piece of furniture that will be passed down through generations. 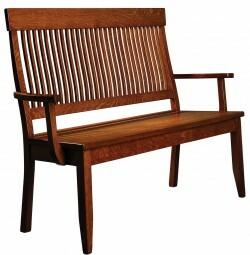 All of our benches are built using only solid American hardwoods like Maple, Cherry, Red Oak and Quarter Sawn White Oak. 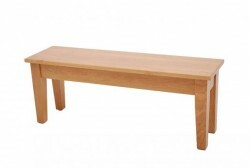 Customers have their choice of wood species, size and a variety of stain options for every item ordered. To learn more about how you can customize a bench to complement your home’s interior and accommodate your seating needs, call our store, or drop by our showroom in Westerville, Ohio’s historic Uptown shopping district.